Great video definitely helped out a lot ! Great video. Doing the black out mod on my 8 headlights and installing my FMIC this weekend. this was a nice aid. Is there any clips or anything that keeps the bottom of the headlight flush with the bumper ? Recently got a nose chop and the body shop couldn't align the drivers side light..They said the tab on the headlight is broken,I'm pretty sure they said its the inner one towards the grill..
Could i fix that tab somehow and if so would that solve the problem ???? Looks terrible! try to push up front member brace, there is two bolts in one side and two in other, if you can push up, drill that holes for bigger ones on that brace. Its not a big prob. thanks, i have been looking for a video on this. should make mine a lot easier when i get to it. I'll be replacing bulbs in the very near future. Thanks for the video! 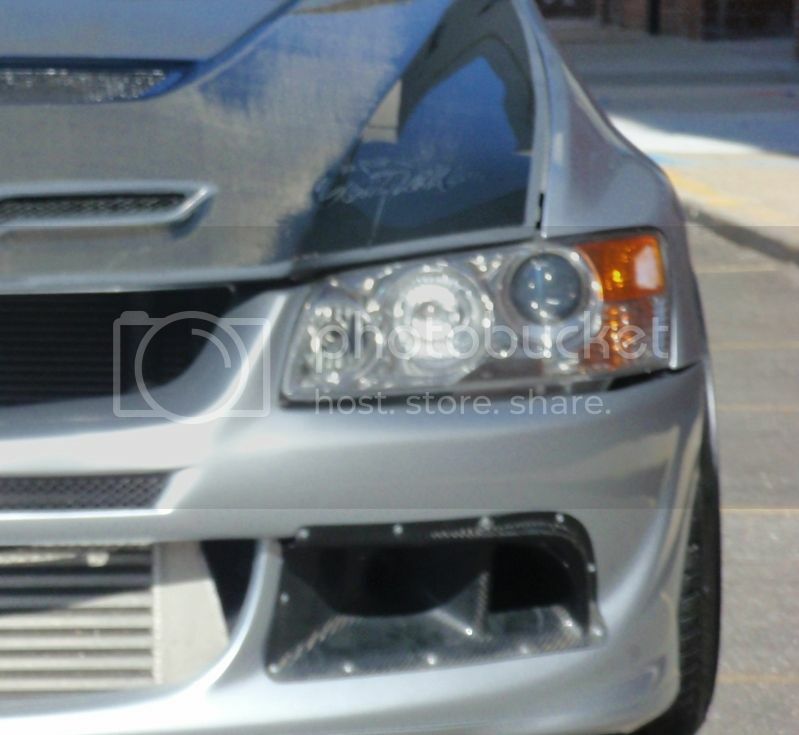 anyone have the part number for the two bolts down by the intercooler on either side on the evo 9 bumper???? bringing this thread back from the dead so people can find it. A couple factory pieces were missing on this car so I guess this isn't 100% of a tutorial, but the main idea of all these videos is to give the DIY guy a look at what they would be getting themselves into if they decide to do it on there own.